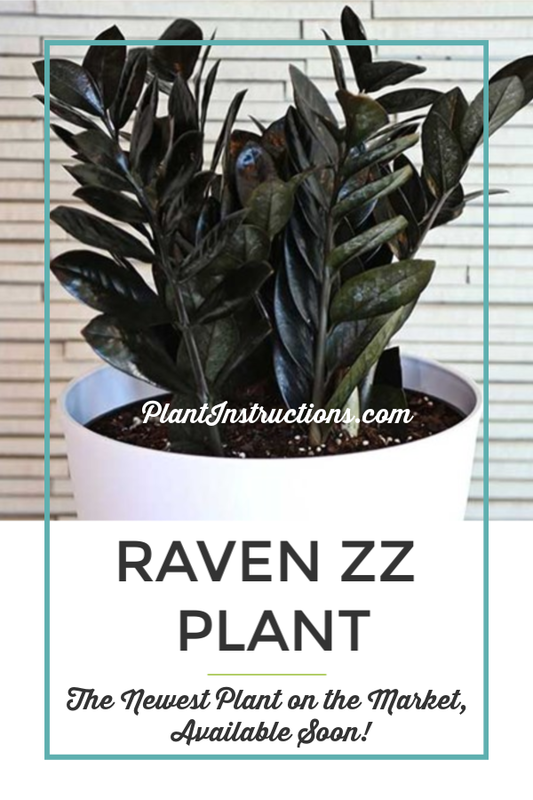 Most of us are very familiar with the ZZ houseplant, but have you ever heard of the Raven ZZ plant? This new plant that’s about to hit the market this spring, is all the rage with houseplant lovers and interior designers! 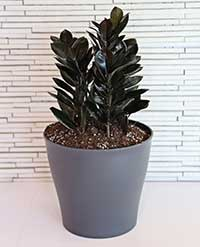 Its new, sleek look has almost black foliage, with deep, glossy leaves that will give your space a completely updated and modern look! In fact, its foliage is so dark, that it may appear black in rooms with low light. 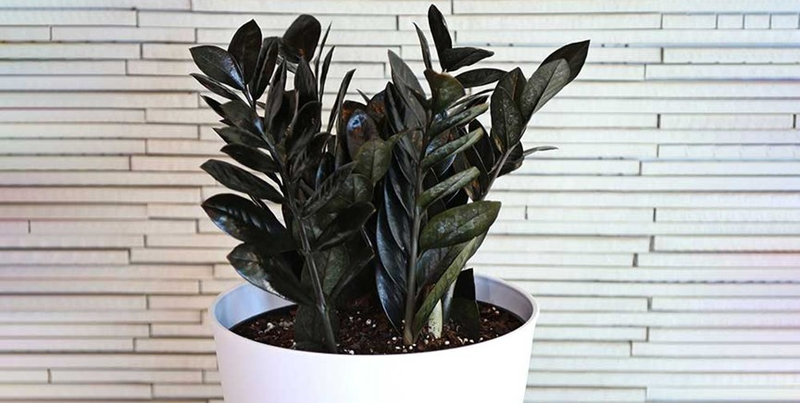 The Raven ZZ plant will look great in modern and contemporary homes, especially when paired with Chinese evergreens or snake plants. Its almost black, deep, and glossy leaves will surely attract you immediately, and what’s more, is that this plant is one of the easiest to grow! Tolerant of all types of light from low to high, the Raven ZZ is great for those with busy days or who may forget to water their plants here and there! I’ll thrive in low humidity or high humidity, and is also drought tolerant. In fact, a ZZ plant can go for weeks without any water, so be sure to only water when the top 1 inch of the soil is completely dry. Over a period of several years, you can expect a ZZ plant to grow only to about 30 inches in height, making it the perfect tabletop plant. Plant breeders are working hard at making this plant available, and depending on your location, it may already be! Developed by the wonderful people at Costa Farms, the ZZ plant should be available everywhere in late 2019. Raven ZZ Plant: The New, Stylish Plant You Need! was last modified: April 11th, 2019 by Aniela M.